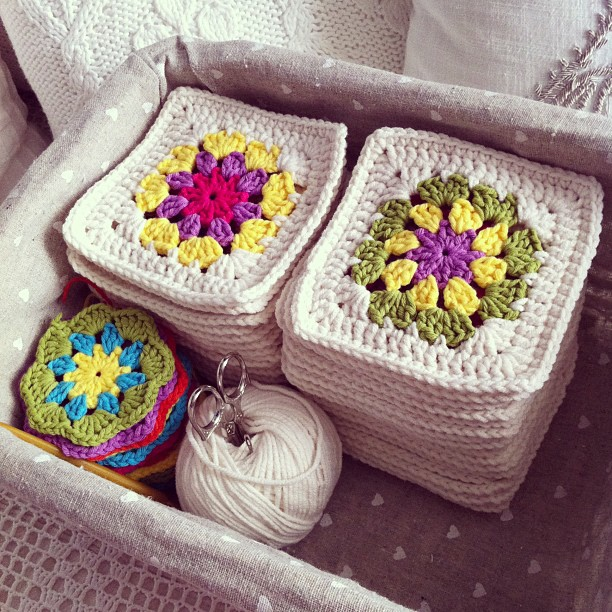 Estoy trabajando en mi primera manta de ganchillo, y (por supuesto) es de granny squares. 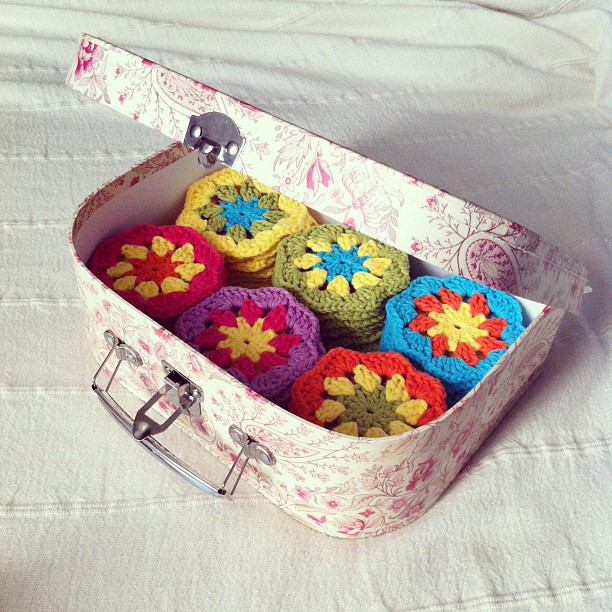 Aunque no son exactamente cuadrados, si no más bien flores/círculos. Cuando vi este post me encantó la idea y decidí hacer la mía basándome en ella. Aún estoy haciendo los cuadrados y llevo algo menos de la mitad (me acabo de quedar sin lana blanca, tengo que ir a por más). Me encanta como el blanco equilibra los demás colores. ¡Estoy deseando verla acabada! 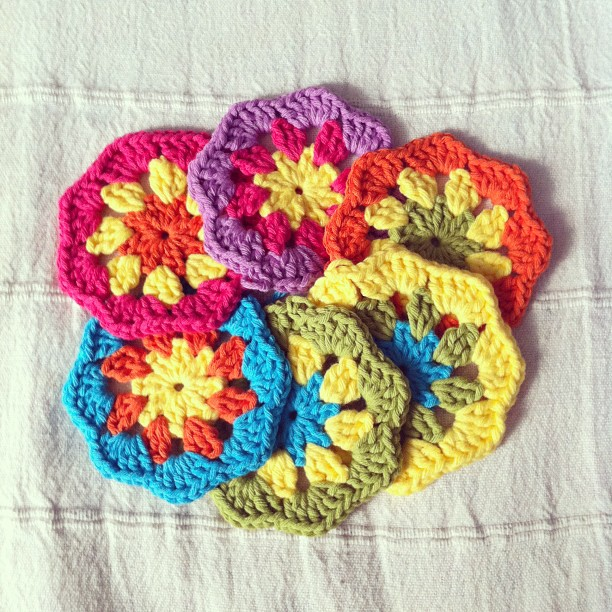 I'm working on my first ever crochet blanket, and it is (of course) a granny square one. 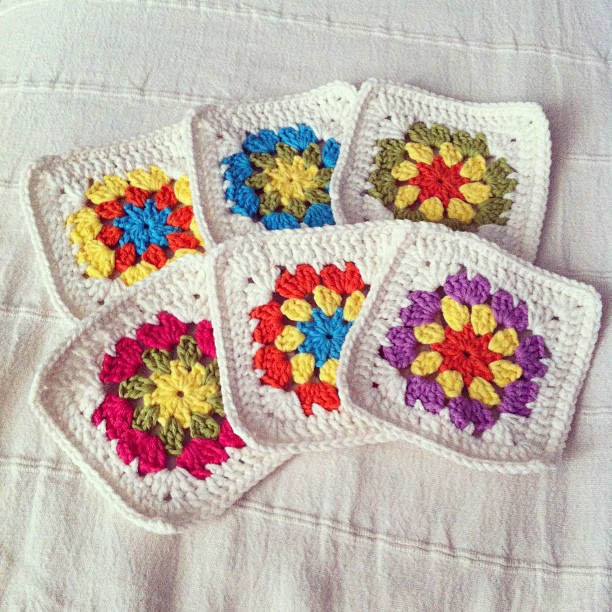 Well, not so much squares but flowers/circles. I got inspired by this post and decided to make my one based on that one. I'm working on the squares right now, I'm almost half way with them (although I run out of white yarn, need to go get more), I love how the white yarn balances all the bright colors. I can't wait to see it finished!